This study aims to compare the bone tissue reaction, setting time, solubility, and pH of NeoMTA Plus, Biodentine (BD), and MTA Angelus (MTA-A). Initial and final setting times (n = 7) and solubility up to 7 days (n = 11) were evaluated in accordance with ASTM C266–15 and ANSI/ADA Specification No. 57, respectively. pH (n = 10) was measured up to 28 days. Bone tissue reactions in 48 rats’ femur were histologically analyzed after 7, 30, and 90 days. ANOVA and Tukey’s tests compared setting time, solubility, and pH data; bone reactions data were compared by Kruskal-Wallis and Dunn’s tests. NeoMTA Plus had longer initial and final setting times than MTA-A and BD (P < 0.05). At 7 days, BD showed the highest solubility, similar to NeoMTA Plus (P > 0.05) and different from MTA-A (P < 0.05). NeoMTA Plus had a progressive mass loss over time; at 7 days, it was significantly different from the initial mass (P < 0.05). BD showed higher pH in the periods assessed when compared to the other materials (P < 0.05). Bone tissue repair had no differences between groups in each experimental period (P > 0.05). All groups presented no difference from 30 to 90 days (P > 0.05) and had better bone repair at 90 days than at 7 days (P < 0.05). NeoMTA Plus, BD, and MTA-A showed satisfactory setting time, high mass loss, alkaline pH, and allowed bone repair. Calcium silicate-based cements are indicated for multiple clinical situations. NeoMTA Plus and BD showed satisfactory physical-chemical and biological properties, being considered as alternatives to MTA-A, as root repair materials for clinical use. Ramiro Martins Quintana and Alexander Pompermayer Jardine contributed equally to this work. 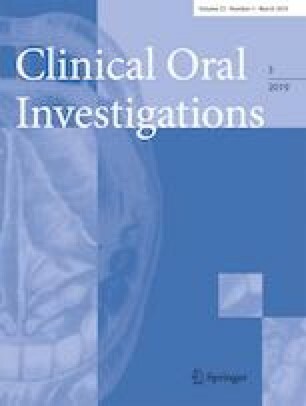 This study was conducted at the School of Dentistry, Federal University of Rio Grande do Sul (Oral Pathology laboratory and Oral Biochemistry and Microbiology laboratory). The authors (Ramiro Martins Quintana and Alexander Pompermayer Jardine) received funding from Coordenação de Aperfeiçoamento de Pessoal de Ensino Superior (CAPES) Agency, Brazil. All procedures performed in the study did not involve human participants.